New York NY 09/17/2018 11 a.m. A deli owner is home safe with his pregnant wife after wrestling a pistol away from a would-be robber on Monday. Police released surveillance video footage of the incident showing a male, who appeared to be in his early twenties, walking into the deli and ordering a couple bacon-egg-and-cheese sandwiches. A popular menu item for delis in the Bronx. 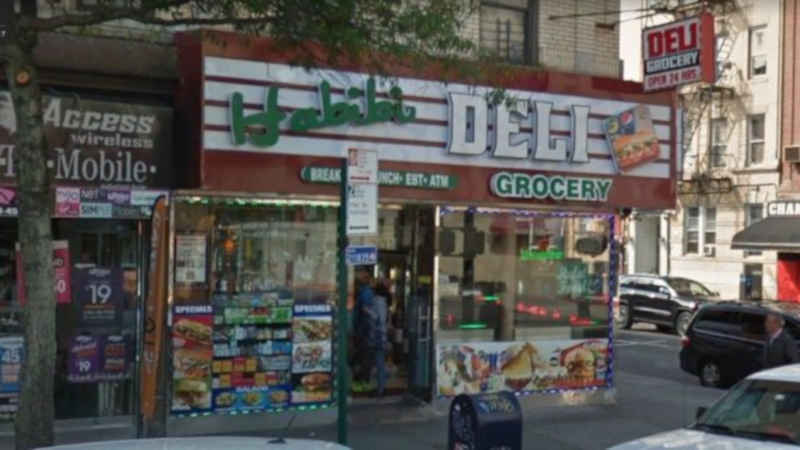 While his order was being worked on by an employee of the deli, the suspect is seen walking around the counter and shoving a gun in the face of Habibi Deli owner Mina Farag, age 38. The deli employee ran out of the shop while Farag grabbed the suspects gun arm and a struggle ensued. The suspect repeatedly punched and head-butted the shop owner, but Farag had a stronger will to get home to his family, and hung on doggedly. And he did. Farag was able to peel the weapon away from his attacker, who then fled the deli. Farag closed up shop and went to the local hospital for minor injuries to his face but returned to work the next day. He has a business to run after all. When his wife asked what happened to him, Farag told her he had been in a car accident, not wanting to upset her. Though he amended that his wife likely knows the whole story by now. The suspect is still at large at this time, though police were able to obtain a good image of his face. What do you think about this scenario? Leave us a comment below to let us know.